In my eyes there’s no better backdrop than the French Riviera to launch a luxury dive watch. And it seems Ulysse Nardin think so too, unveiling four new iterations of their Diver Chronometer amongst the glamour and affluence at this year’s Monaco Yacht Show. Plotting a cleaner bearing for the collection with a host of aesthetic updates. Beginning with four brand new textured dials that replace the wave pattern found on the previous version of the Diver Chronometer. 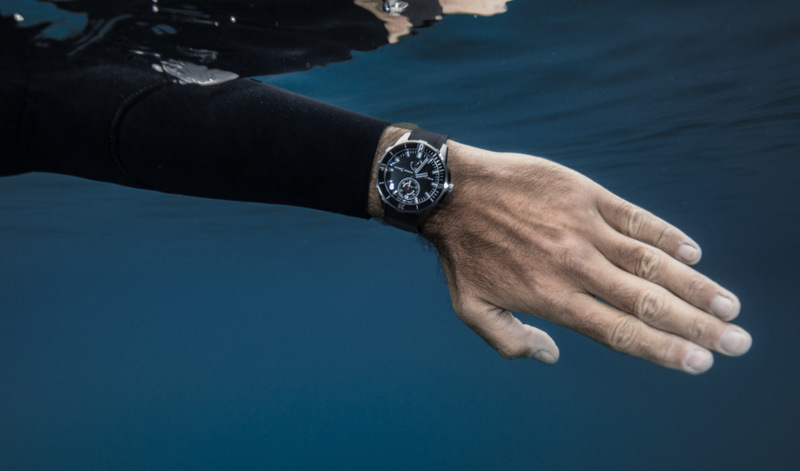 There are two regular production models – a deep blue and an all-black dial version — plus two limited editions: the grey-dialled Diver Great White (300 pieces), and a red and gold accented black dial version that’s been specially made to celebrate the Monaco Yacht Show (100 pieces), with the tiny country’s red and white flag displayed at 12 o’clock, and a unique date wheel reflecting this year’s show dates, with a red colouring for the 26th, 27th, 28th, and 29th date numerals. While each dial may differ slightly in colour, they all feature the exact same layout. An indicator at 12 o’clock helps keep track of the power reserve, while the date and a small seconds subdial are nestled neatly at 6. Each version also features the same underlying construction. Using a 44mm titanium case that’s good for 300 metres, with rubber crown guards, and an inverted, concave rotating bezel that’s now numbered in quarters by markers at 0, 15, 30, and 45 minutes. Inside all four versions is Ulysse Nardin’s manufacture calibre, the UN-118, utilising the brand’s impressive silicium technology and featuring a 60-hour power reserve as well as chronometer grade accuracy. 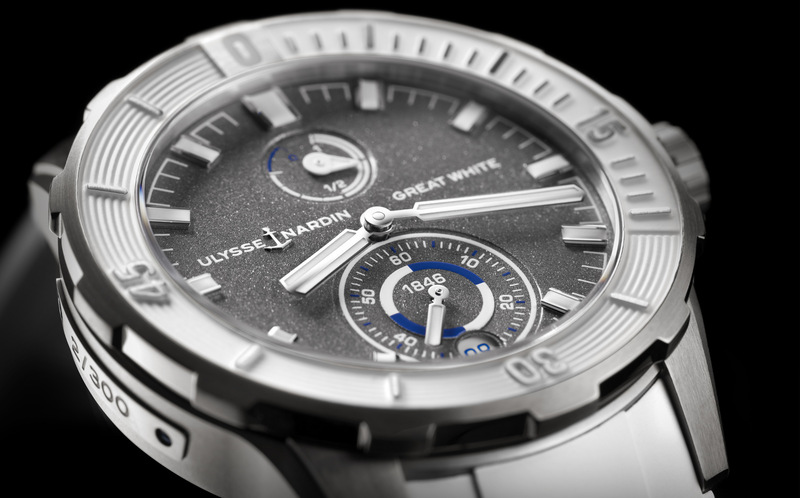 What’s more, the movement is put on full display through a sapphire crystal caseback that can be seen on all the models except the Diver Great White, which instead uses a solid caseback stamped with a great white shark. 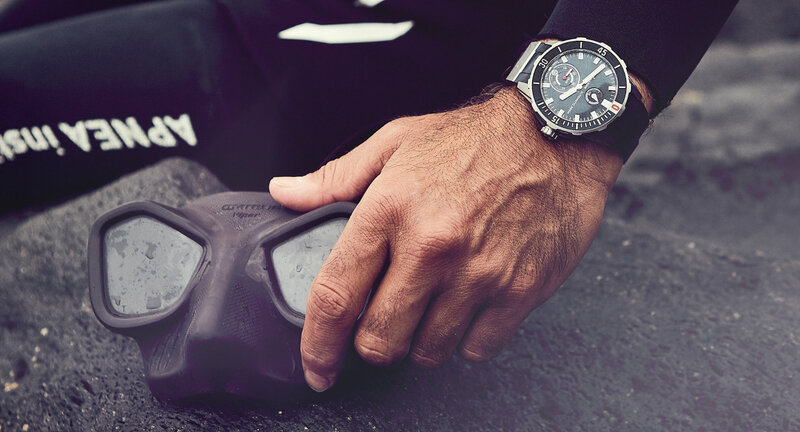 Finishing off the updates, even the titanium and rubber strap has been streamlined, with its clasp replaced by a much more diver-friendly pin and buckle system. Australia may be a far cry from the ritzy coastline of the Mediterranean, but I, for one, look forward to checking these out in person when they hit our shores.